So I just downloaded this game yesterday,and I have already finished my Talent Mark quest. 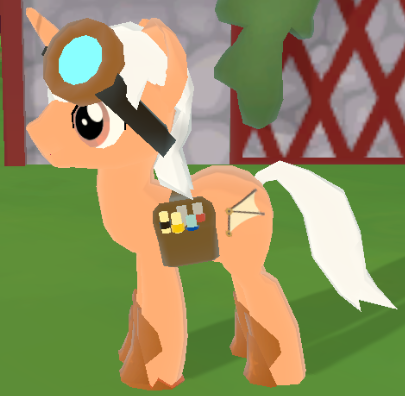 And while I started the quest The First Day of Our Pony Lives,I can't find anyway to proceed the quest,I checked LoE wiki and I can't find Flan anywhere,So I talked to the quest mark fixer, but he told me that I still don't have a cutie mark talent mark. Flan owns a café in the city center of Cantermore. 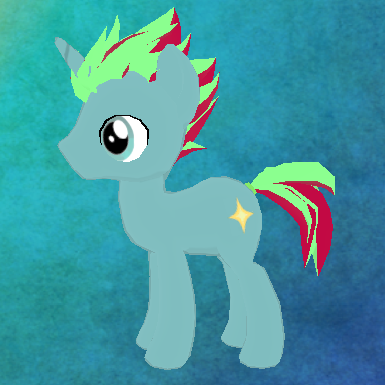 Depending on your pony kind, you start out in Ponydale (earth pony), Cantermore (unicorn) or Cloudopolis (pegaus). If you are in Ponydale, go to the train station, click on the sign and select Cantermore. From Cantermore train station, you go straight ahead and are in the city center. You'll pass Astral Charm on the way. If you are in Cloudopolis, things are a little bit more complicated. You follow the signs pointing to Cantermore, until you are on the landing platform, then go to Cantermore. You'll arrive on a hill near Cantermore. You should see the city in the distance. Go down the hill and towards the city wall. Go through the gate to enter the city. I don't remember in which direction you should go from there, but you should find the city center from there on your own. If in doubt, ask other players. Flan owns a café in the city center. If you still can't see her, it's probably a bug or a matter of circumstances. In this case, I can't help you. All right, I'll try to file the bug. Stop, stop. I think we have a failure to communicate. If I am understanding the OP he is looking for Flan at the graduation ceremony. Flan should be there with the other students. I had a problem where some of the ponies were not spawning, I thought it was my bad internet. I got them to show up eventually by logging out and back in. Edit: The graduation ceremony is NOT at the city center. Try to find the quest maker on your mini map. That should take you to Flan and the others.